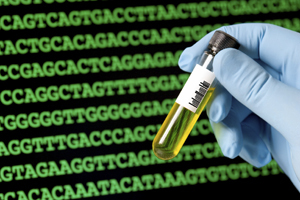 The High Court has ruled that it is not a breach of the right to private life to request DNA samples from those who were convicted of serious offences before it became commonplace to take samples for the production of DNA profiles for the investigation of crime. The claimant was asked, by reason of his previous convictions, to provide a DNA sample under the Police and Criminal Evidence Act to enable the police compare the his DNA profile with those held by the police in connection with unsolved crime. He refused to give the sample when it was sought initially, so he was sent a letter requiring him to attend at a police station to provide the sample on pain of arrest. He applied for judicial review of this requirement, arguing that it was an unlawful incursion on his right to privacy under Article 8. In the light of the fact that the claimant’s previous convictions had been for manslaughter and kidnapping, the police had identified him as falling within the criteria for a nationwide operation to ensure that those convicted of homicides and/or sexual offences have a confirmed DNA profile held on the National DNA Database. The sample requested from the claimant was destined for comparison with the 158,191 crime scene profiles held in the NDNAD. The issue therefore for the court in this case was whether the collection of the claimant’s sample for the purpose of speculative checking against other samples and the retention of his DNA profile once produced was a proportionate exercise of the statutory power under PACE. It was the defendant’s case that the fact that the claimant’s profile was not already held on the NDNAD was simply an accident of timing. After 5 April 2004 any person convicted of any one of the offences committed by the claimant would expect his sample to be taken and his DNA profile to be retained indefinitely. In S and Marper v United Kingdom (2009) the Strasbourg Court found that the blanket and indiscriminate nature of the powers of retention of the fingerprints, cellular samples and DNA profiles of persons suspected but not convicted of offences was a disproportionate interference with Article 8. PACE has been subsequently adjusted to take account of this judgment. But that case did not deal with the taking of a sample without the individual’s consent when that individual had in the past been convicted of serious offences. In S, it was the “indiscriminate reach of the statutory power” that rendered the retention objectionable, in particular, “its tendency to stigmatise unconvicted persons who had come under suspicion”. In the light of this, and their finding that “significant weight” was to be attached to the legitimate interest in the detection of crime, the Court dismissed the claim that the claimant’s Article 8 rights had been inadequately protected. It certainly is NOT a breach of privacy to request DNA sample from ex con. Absolutely spot on. It may well be a breach of privacy however, if a sample is taken without the person’s consent. The thing is, the judge was subject to a barrage of publicity of the dire consequences if he found in the man’s favour – including a claim, I understand from Radio 4, that 6,000 cases might have to be abandoned. Given all this pressure it could be argued that his judgement was not unbiased. As laws didn’t use to be back-dated and people are subject to the law as it was when they committed the crime I would argue that they should whistle for his DNA and the police should concentrate on cutting current crime rather than trawling back 20, 30, 40 years.